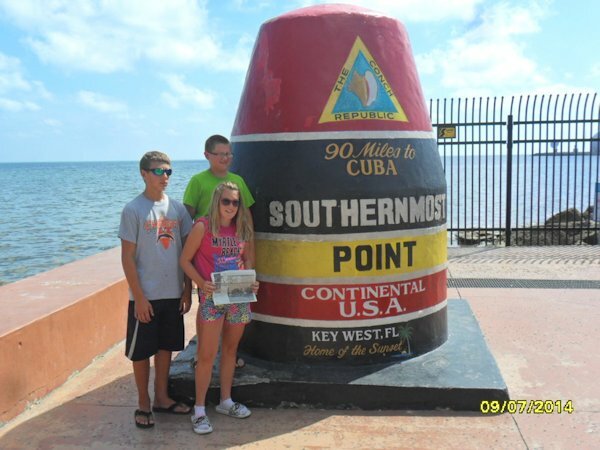 Haylee and Hunter Kienast and Lane Hardisty took "The Quill" along when they traveled to the southernmost point of the United States in Key West, Florida in July with Haylee and Hunter's parents. The group traveled over 4,000 miles during their vacation with stops in Milton, Ft. Lauderdale, Key West and Gotha, Florida before heading to Gatlinburg, Tennessee for their final stop. When you go on a trip, take "The Quill" along and have your picture taken with it, and then send it to us. Let's see where all "The Quill" can travel.